For Unified Communication to be fully embraced by the SME sector it HAS to be made simple; simple to understand, simple to implement, simple to use – and simple for the channel to sell The premise is easy enough; increase overall workforce productivity through the streamlining and simplification of internal and external communications. This is achieved by reducing the number of devices and interfaces used for communicating during the business day, integrating (or unifying) applications so they work together, making them easier to understand, use and support. The beauty of Unified Communication is that it offers many productivity and cost reduction benefits to businesses by simplifying the way employees communicate with colleagues, suppliers, customers and prospects through the convergence of voice and IT applications. It therefore follows that modern, IP PBXs like SpliceCom’s range of soft, hard and virtual systems are perfectly placed in the network to assist with the consolidation of voice services with business critical IT applications across an IP infrastructure – though perhaps some IP PBXs are better suited for this task than others! 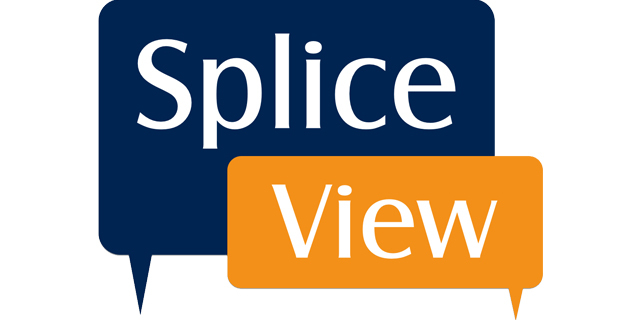 Leaving aside Business Telephony for the moment (it is after all our core business), it’s the areas of workforce mobility and IT Convergence that we at SpliceCom have witnessed most growth in over the past couple of years. Mobility, both in and out of the office, can now be handled by one device – yet another example of unification. In our customers’ case this is usually a SmartPhone or Tablet running our iPCS IP system softphone application. In fact, with the feature richness that’s built in to iPCS we’re already seen the mobility device becoming the only phone deployed in certain industries and applications, totally negating the need for an IP deskphone. For larger organisations, IT Convergence means system integration. But for smaller businesses the associated service element associated means that this approach won’t work simply because of the skills required and the subsequent costs. We’ve seen some of our competitors take it upon themselves to provide bundled applications to try and meet the needs of this market, reducing both cost and complexity in the process. Unfortunately, this isn’t what’s required. Ultimately for smaller companies it’s their key business applications that need to be integrated with voice; typically that means PIMs like Microsoft Outlook (or IBM/Lotus Notes) and some form of sales database or CRM app. Using alternative email applications, contact databases, presence detection, etc. – even if they can be easily deployed and work together in a far more integrated matter – just isn’t an option. No, when it comes to Unified Communication what’s required for smaller businesses is the same “best of breed” approach towards applications as that adopted by larger organisations, it’s just that the integration has to be made easier. At SpliceCom, we address these needs through Navigate UC and Navigate CRM respectively. These deliver click-to-dial and intelligent screen popping of all the popular PIMs and CRMs, as well as more specialist systems for vertical markets, for example Capita SIMs for schools, and even bespoke LDAP and ODBC compliant databases. Comprehensive desktop phone control is also provided with both of these apps, including pickup/hold/transfer/conference, presence/Busy Lamp Field (BLF), Instant Messaging (IM), management of multiple contact directories, Do Not Disturb/Out of Office status, etc. The use of multiple CRM apps is also supported. For example, one of our highest performing channel partners has the sales team running Microsoft Dynamics CRM, whilst the support engineers utilise a Help Desk solution from Kayako. Navigate CRM allows employees to select customer details from which, if any, of these two solutions, or Outlook, should be opened on a user-by-user and call-by-call basis. A well-planned and delivered SME Unified Communication strategy allows businesses to work smarter, whilst simultaneously reducing costs. The workforce can be freed from their dependence on the office, allowing them to be just as productive when they’re mobile as they are sat behind a desk. This provides a reduction in office space required, building/ travel/meeting costs and overall communication, voice conferencing and mobile phone expenses. Whilst Unified Communication makes the workforce more available and more responsive, the convergence of a businesses core IT applications with voice and other communications methods, allows existing business processes to be simplified, extended and enhanced. This accelerates workflow and improves decision-making, which in turn allows companies to build stronger relationships with their customers’ and so increases customer loyalty towards the business. Enterprise and SME customers all want the same thing, it’s up to us, as vendors, to make it simple to implement and cost effective for smaller businesses.